Welcome to my world of Applied engineering Prognostic Science (AePS), a world of 50 + years of knowledge and experience which has immense value and needs to be documented and disseminated to new students of Technology, Engineering and Science (TES). My consultancy fills many gaps that now exist in new education for TES students to demonstrate the knowledge of the last 50 + years of complex engineering, forward to the futuristic needs of products / systems. 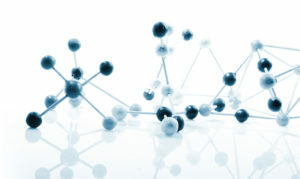 The Monitoring of operational products / systems is absolutely essential for various reasons; some are very important for product / system operational design validation and compliance , some are analytical for data gathering to provide evidence of design to drive improvements but all of them are necessary to guide futuristic requirements for the human race as we advance out into new earthly designs, then on out into the universe. These reasons are very important in business terms, product / system operational condition monitoring and operational requirements and for the safe operation of the product/system, the human operatives, passengers and innocent bystanders and structures. To start to bring this condition monitoring ideology together so formalizing a structure to build on, is why I have created this website and started its population. My Consultancy offers interested persons a total holistic understanding of real prognostic condition monitoring and the real evidences of functionability built over 45 years in a main engineering occupation. Many of the competencies and test architectures to which I have acquired knowledge, over the years are no longer available to new TES students and they are so important to disseminate and build the thorough knowledge and rationales for the future. Condition monitoring of operational products / systems is essential and not a nice to have after thought. Consider this; a creature born of this earth is assembled starting with the brain, sensors (eyes (seeing), ears (hearing and balance), nose(smell and breathing), touch, taste, etc.) along with the nervous system. Then the energy supply / fuel system (heart pump, lungs, stomach, liver, kidneys, intestine, etc.) along with the constructional skeleton is grown and all this is finally dressed with a muscle system and outer skin layer fed by artery and vein structures to enable sustenance feed, waste removal, control, movements and designed for functionality in the ‘earthly’ environment. However, most products/systems designed by humans are for a function to enable an easy life. Nearly all these products/systems are created the opposite way around to humans and consequently have no integrated monitoring systems for system/product operational condition status, the functionability that provides the functionality. This is a massive issue!